The purpose of VSA-LSU as an organization is to be a place thst unites students through community, service, and culturally-enriching events. We’ve met our goals and so much more. Throughout the past four years, VSA-LSU has seen a growth in not only memberships but also the overall activity of the organization. This year, we have branched off into new territories and broke records for our organization, setting ourselves to a higher standard. For example, during the aftermath of Hurricane Harvey, VSA-LSU spearheaded the fundraising and donation efforts towards the relief, focusing primarily on Houston. VSA-LSU raised $850 of the $1000 submitted towards the Houston Food Bank, and with VSAs all over the Gulf Coast region, VSA-LSU collected over 3,000 pounds of goods and supplies that were brought both directly to the affected regions and the Salvation Army. These donations included items like bottled water, toiletries, and feminine products. 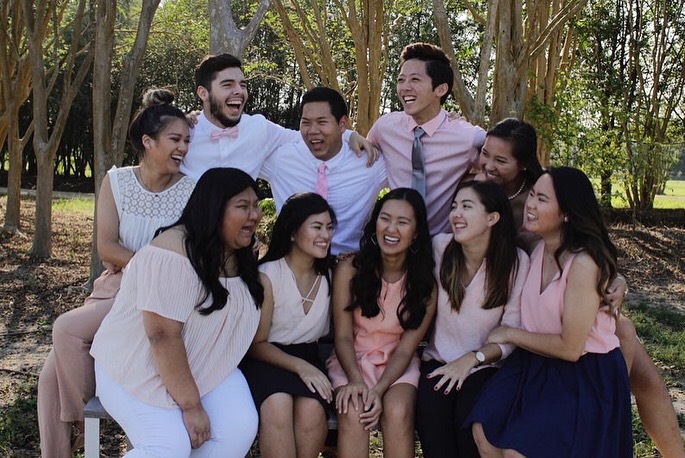 VSA-LSU has also remained consistently active with being involved with our own VSA, holding casual outings, and going to GC and other VSAs’ events. We brought bonding outside of our official events like casually going out to see a movie or having a football viewing party. In addition, we began a newsletter to inform our alumni and our members of our annual progress and ambitions. VSA-LSU has been involved in several student involvement fairs for the fall and spring semesters where several student organizations recruit and inform potential members about their respective organizations. At these fairs, VSA-LSU holds a free T-shirt raffle and hands out flyers containing all of our events with dates, times, and social media information. VSA-LSU also utilizes several social media platforms like Facebook, Instagram, and Snapchat. To maximize communication between VSA-LSU and our members, we have a formal page where we post our upcoming events and the information pertaining to them. A private page with all of the paid VSA-LSU members is utilized to allow free discussion between members and to remind them about our events. We post flyers and general information on our Instagram and Snapchat what happens at our events and intramural games. We also update our email list frequently and give those on the list weekly updates of what’s going on around campus and our respective organization. These efforts have resulted in a massive audience at our intramural games from our members and nonmembers, many of which envy the overwhelming support of our organization. In the past, VSA-LSU has been fairly limited in community outreach. This year there was a push for at least two community service events per month. Although this was sometimes hindered by slow communication, unavailable time slots, and weather, it did not reduce our efforts. In addition to our Hurricane Harvey efforts, we committed to more on-campus opportunities such as offering volunteers for the Japanese Anime and Culture Society, volunteering for LSU’s Game Day Recycling, and performing at the International Student Association’s International Fusion. VSA-LSU also participated in other events, including Habitat for Humanity, Dance Marathon at LSU, and UNOVASA’s Paper Lantern Night. At the beginning of the fall semester, VSA-LSU held a V-Day, which served as a one-day leadership retreat for executive board members. This was put on by the senior advisors. The purpose of V-Day is to benefit the executive board members by teaching crucial skills for working in a group; these skills include communication, teamwork, trust, and patience. This helped the board as they didn’t quite know each other’s work ethic, thoughts, and backgrounds. It helped the board grow closer and work together effectively throughout their term. When planning events, VSA-LSU created a timeline for both the fall and spring semester, accounting for major events like music festivals, holidays, midterms and finals. Based on the event, planning started 2 weeks to as early as 7 months in advance. Event planning included location, time, date, supplies and ingredients, expected attendance, and contingency plans – such as relocating and insufficient supplies. To further expand, we would have a list of places to relocate a meeting or event at a moment’s notice. More supplies would be on hand, in case we ran out, excluding food for budgetary reasons. The organization lacked synergy and communication in the beginning, and collectively, the board members made it a priority to bond and get closer. This was exemplified through fun, carefree, and even informative activities like VSA-LSU’s Officer Introduction video, Christmas video, and the VEGA Night promotional video. We also bonded by cooking and shopping for general meetings together, having board game nights, going out to eat after board meetings, and even going to an actual escape room. As an E-Board, we faced many different personalities as well as leadership directions, yet we were able to utilize our strengths and discuss several options for the best interest of VSA-LSU. For example, some members were extremely detailed oriented while others were go-getters. This benefited us during debriefs, and we debriefed for everything, be it events, volunteering opportunities, or processes. This helped us see several different angles, list the pros and cons, discuss whether or not it was something VSA-LSU should continue supporting or hosting, and points of improvement. In the end, we collaborated and pushed one another to do the best we could for VSA-LSU and figured out the best solution. VSA-LSU reached out to have official sponsors this year. These sponsors were critical to our success as we were able to improve and try out new things like making shirts to raise awareness for our Collective Philanthropy Project, Pacific Links Foundation and buying fans for our traditional dance group, which was expanded from a female hat dance to a gender-inclusive fan and hat dance. Sponsors also allowed us to buy an official domain for VSA-LSU’s website and more importantly to promote local businesses and individuals. A few examples of our promotions include the video thanking Umami for donating gift cards (these were raffled off for CPP), using Bao Vietnamese Kitchen’s restaurant, logo, and products in our Date Auction video, and encouraging volunteers to help Laura Siu at her two charitable food festivals: BRunchfest and Wingamania. Several of the above points touch base on something new that VSA-LSU did. They don’t comment on all the things that VSA-LSU does annually and the growth it has truly experienced. 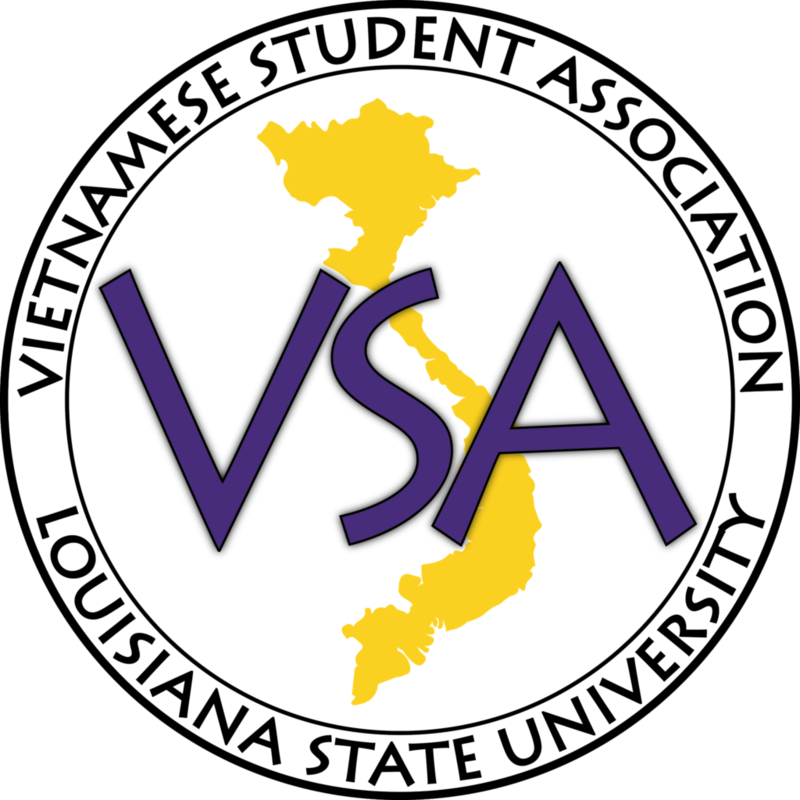 In 2016-2017, VSA-LSU had a total of 95 paid members. This year, the organization grew to a whopping 125 members. For our Thanksgiving Potluck, not only did we move to a bigger venue, but we also ran out of table space for food with over 50 dishes from members and nonmembers alike to enjoy. Again with our Pho Night, we kept the larger venue, received pho broth donations from 6 restaurants, and recorded 119 people in attendance. This is compared to last year’s recorded 77 individuals and donations from four restaurants. Finally for VEGA Night, we had over 100 people in attendance, an increase of 30 from the previous year. VEGA Night was also met with several compliments from catering choice to performances to decorations to guest speaker. 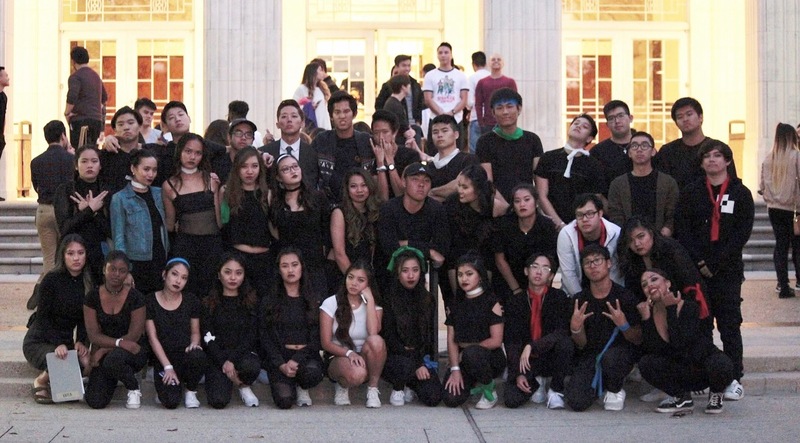 VEGA Night served as a testimony of VSA-LSU’s strength in numbers, annual membership retention, and the capabilities the organization holds for putting on a quality event. VSA-LSU has also continued to grow its alumni contact list, reaching out and collecting contact information from recent graduates. This is also further enforced by the introduction of VSA-LSU’s first newsletter. Through the newsletter, we were able to contact alumni about Hurricane Harvey relief, the alumni tailgate, sponsorship interests, and VEGA Night. In addition, VSA-LSU maintained new yet effective ideas from last year like its unique Goal of the Event incentives and Google integration. Goal of the Event keeps our members active and gives them the opportunity to do fun and entertaining activities that they would not normally get to do like a relay race, pieing someone in the face, or watching real life food challenges. The utilization of Google Forms, Drive, and Hangout allows us to keep track of attendance, work effectively as a group, and record notes and ideas for future generations.